In the interview with CNBC on Monday, Anne Gudefin, fund manager of PIMCO Pathfinder, said that in today’s tough economy, investors must be extremely careful in picking stocks. She also recommended three stocks that she believed would offer long term value for investors. It is a global offshore contract drilling company. 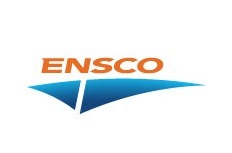 Ensco participated in the drilling of offshore oil and natural gas wells by providing drilling rigs and crews under contracts with major oil and gas companies. It is the second largest driller and it focuses on deep water drilling and oil rigs. According to Gudefin, with oil companies accumulating more discoveries, there will be a need for more and more rigs (check out the hedge funds holding ESV). Reckitt Benckiser is engaged in the manufacture and sale of household and healthcare products. Gudefin believed that the stock is undervalued because the market has not discovered its great potential from the emerging markets and healthcare industry. The stock is cheap and has high dividend, and the investors should pay more attention to stocks with high dividend yields. Eutelsat is a France-based satellite operator. It provides broadcast services, broadband services, mobile and maritime communications, and telecoms and data services. Gudefin suggested that it is almost impossible to get new satellite positions as it is capital intensive to launch a new satellite. In addition, the stock has growth potential from emerging markets and high definition televisions market. Therefore, Eutelsat had key attributes of being defensive and having lots of growth potential.